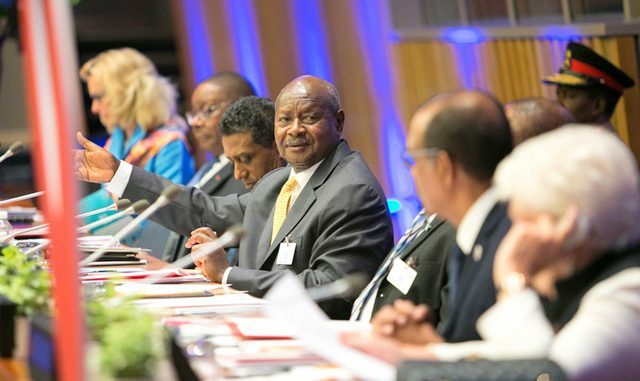 The President of Uganda, Yoweri Museveni addressing a meeting on quickening the pace of action to end AIDS held in New York, on September 21, 2017, during the 72nd Session of the General Assembly. Courtesy Photo. 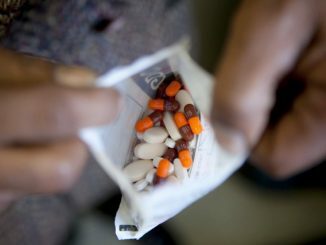 A number of African countries will soon be able to provide the new single-pill HIV treatment regimen thanks to a breakthrough pricing agreement announced last evening. 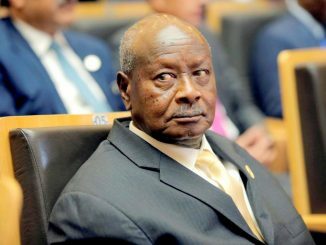 The pricing partnership was struck between the Joint United Nations Programme on HIV/AIDS (UNAIDS), African governments, the pharmaceutical industry, and the US President’s Emergency Plan for Aids Relief (PEPFAR) to drastically reduce the price of a crucial HIV/Aids treatment drug. The agreement will accelerate the availability of the first new generic version of a front-line antiretroviral drug containing dolutegravir (DTG) to public sector purchasers in low- and middle-income countries at around USD 75 (268,565 Shillings) per person, per year. The treatment cost was previously above USD 1,000 (3,580,860 Shillings). Prior to the introduction of the new affordable regimen, patients paid USD 50 (179,000 Shillings) – USD 60 (215,000 Shillings) for a 30-day supply pack. This generic version costs about USD 4 (14,000 Shillings) a pack. This one pill, a once-a-day generic fixed-dose combination of tenofovir disoproxil fumarate, lamivudine, and dolutegravir (TLD) was developed by Mylan and Aurobindo under licensing agreements from ViiV Healthcare, the original developer of DTG. The company recently received tentative approval for their products under the United States PEPFAR program. The new agreement is now expected to accelerate treatment roll-out as part of global efforts to reach all 36.7 million people living with HIV with high-quality antiretroviral therapy. UNAIDS estimates that in 2016, just over half (19.5 million) of all people living with HIV had access to the lifesaving medicines. In July 2017, the WHO issued guidance to countries on how to safely and rapidly transition to DTG-based antiretroviral treatment. The best-in-class integrase inhibitor is widely used in high-income countries and is recommended by the World Health Organization (WHO) as an alternative first-line HIV regimen. WHO Director-General, Dr Tedros Adhanom stated that WHO welcomes this agreement which will make it possible to reach millions of people with better, more affordable and durable HIV drugs. This will save lives for the most vulnerable, bringing the world closer to the elimination of HIV. Clinical studies demonstrated that treatment regimens that use DTG result in more rapid suppression of viral load, fewer side effects, and greater potency against drug resistance than current regimens used in low and middle-income countries. A statement issued by UNAIDS indicates that ministries of Health and program managers should anticipate being able to order TLD in 2018 at around a projected average price of USD 75 (268,565) per patient, per year. The ceiling price agreements apply to purchases for public sector use in more than 90 countries, representing over 90 percent of people in developing countries currently living with HIV. To build momentum for TLD and familiarize healthcare workers with the drug in resource-limited settings, UNAIDS partnered with CHAI beginning in late 2016 to make generic DTG single tablets available in three early adopter countries: Kenya, Nigeria, and Uganda.